Take your knitting to a whole new level with these 16 clever projects for you and your home. 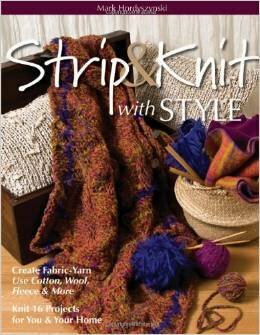 "Strip & Knit with Style" shows you how to make one-of-a-kind yarns by cutting or tearing them from your favourite fabrics - not just cotton, but also rayon, linen, hemp, silk, wool, and even lace! Then discover simple techniques to turn them into something gorgeous with that unique personal touch.